In the conditions of a fast pace of life and growing childrenIt is convenient that the apartment has furniture that can adapt to often changing conditions. After all, it's good, if you can easily change the layout of the shelf for books or create a storage system in the form of your own silhouette! The original Pin Press rack has no analogues among furniture. 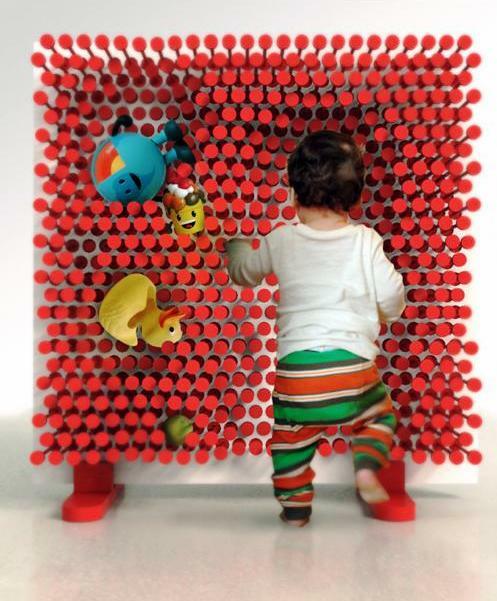 A unique system of retractable pegs allows to form any surface for different needs. Designers of the studio My Design Ltd. have developed an unusual piece of interior in the form of a panel with moving forward-back plastic tubes. Embracing the back with your hand, your foot orall the body, even a child will easily squeeze out any silhouette or pattern. 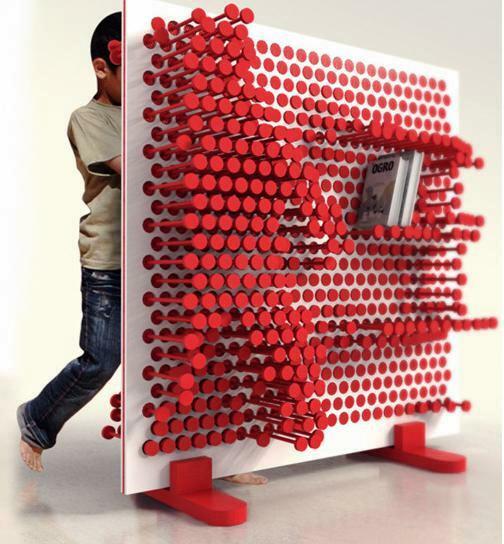 Pin Press was originally designed specifically for the interior of the children's room, in order to connect the playground and the modular shelving for toys, things and books. 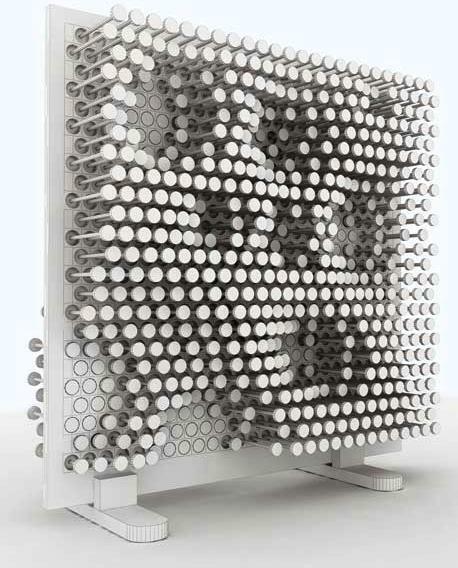 The original concept was won by the prestigious furniture design contest Josep Ros. I think that such panels - shelves perfectly fit in the interior of a modern living room for adults!